Many of cannabis producers we talk to daily have already encountered their fair share of difficulties transferring their product to widespread application. That’s because incorporating cannabis within vaping oils, lotions, food, and other products for public usage is an intricate process. Fortunately, utilizing a high-pressure homogenizer can alleviate many of the difficulties associated with the production of medical and commercial cannabis products. In fact, we’d go as far to say high-pressure homogenizers are essential to the process. 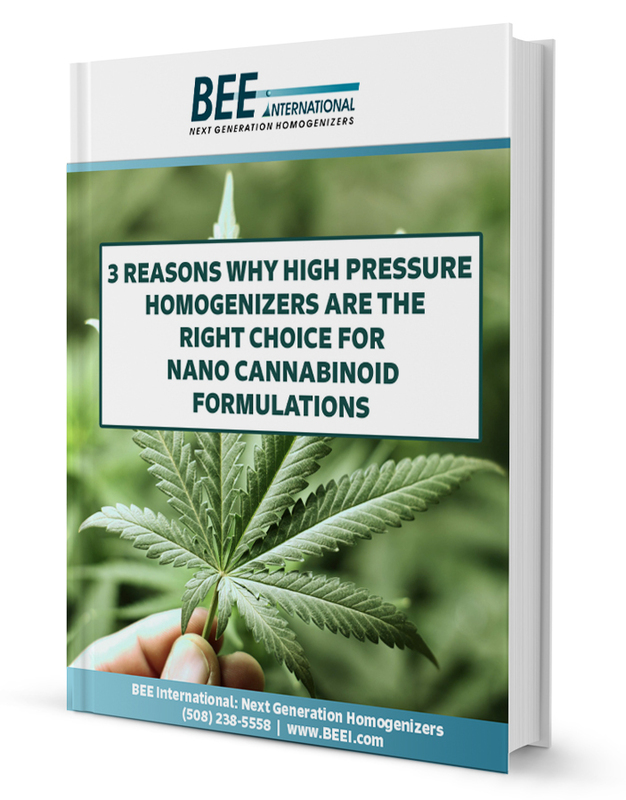 Learn more by downloading our FREE ebook “3 Reasons Why High Pressure Homogenizers Are The Right Choice for Nano Cannabinoid Formulations”. The ebook contains practical, clear facts and insights for manufacturers, researchers and innovators who want to improve existing products, enhance efficient manufacturing processes, and achieve remarkable results for new innovations.